I remember when i got this playsuit. It was on a Saturday and was one of those, 'I don't know what i am looking for but when i find it i will know" type buys. I had a budget and in the end, it came down to a white play suit and this one. Unfortunately, the smallest size they had the white in was medium. Odd fact? The two times i wore the playsuit, my hair choices were all wrong.. Ever had that kind of bad hair-outfit day? 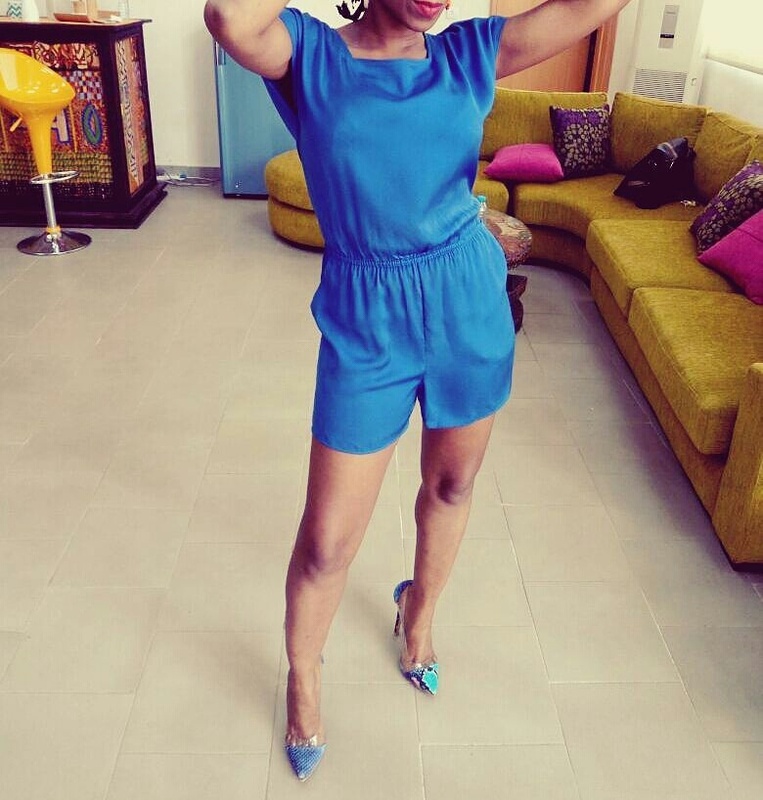 Blue Playsuit from Mango store, Ikeja City Mall, Ikeja Lagos. Blue shoes by Red Kiss from Sekinah Shoe Gallery in Yaba, Lagos.